We Need Your Financial Support for a Good Reason! In the next couple of years our main target remains to open the first and only Meteorite Museum in Athens. 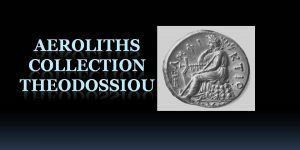 This privat Museum will host mainly the “Aeroliths Collection” as also any other meteorites & meteorite collections that would be privately donated to our exhibition. The Museum will also participate in cooperation with reputable international researchers, scientists, the Meteoritical Society and IMCA in different projects , searching for undiscovered craters & meteoritic material all over the greek territory. 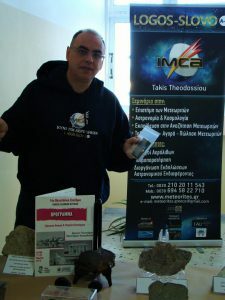 For this reason we are looking currently for national & international sponsors, and donators who would like to participate with their sponsorship – helping us to realize the first Meteorite Museum in Greece – by adding their names in our efforts & supporting us with their reputation in a scientific-journey to the knowledge of the origin of our solar system & the unkown meteorites that are waiting to be discovered in our country. That’s why we need Your financial support for this good reason!